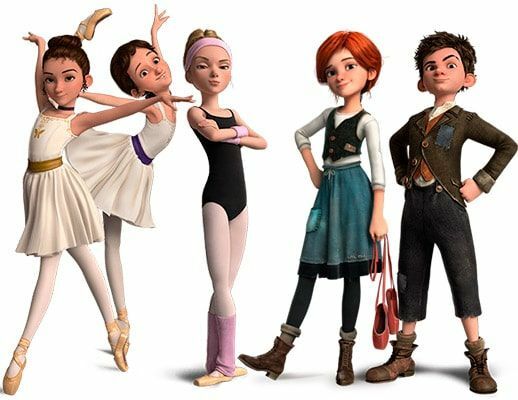 Bailarina is a cartoon film in which the protagonist Felicia, an orphan girl, dreams of becoming a professional dancer. 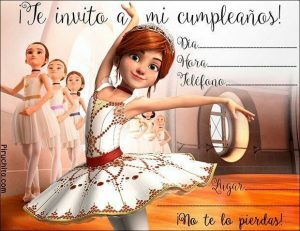 This original title movie "Ballerina"Which has co-production between France and Canada premiered in Spain the 27 of January of 2017 and as no, from Piruchita we wanted to quickly design a Ballerina birthday invitation of Ballet free to print. That way you can become the theme for your daughter's or niece's birthday party. Victor, Felicia's friend, helps Felicia escape from the orphanage where she lives after losing her parents. 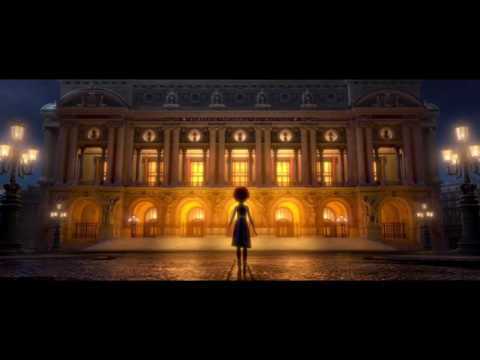 In this way, Felicia can live her dream after traveling to the Paris of 1879 where she will have great adventures, while Victor seeks his own dream of becoming a great Inventor. Once in France, she gets hired by Odette, a dancer with great knowledge. With some little lies and the help of his friend Victor, he will get to enter the Grand Opera House as a ballet student. In this animated film, we will enjoy a great quality in the design of the scenarios, both indoor and outdoor and enjoys an excellent animation. Although it will be more entertaining and fun for the little ones, among the more adults we will also have a good time, even though we will not see anything new, since they are somewhat predictable arguments. If you are also a big fan of ballet or dance in general, you should also see it, since somehow you will get into the characters and you will see more identified. I suppose that when trying to find a more youthful audience, they have used an excess of pop music, when the appropriate thing would have been something more of classical music, which would be more in keeping with the original argument. The synchronization of the excellent animation and music is very successful. Do not miss a lot of fun moments and the values ​​of life, being in summary a family movie that you should see sooner or later.